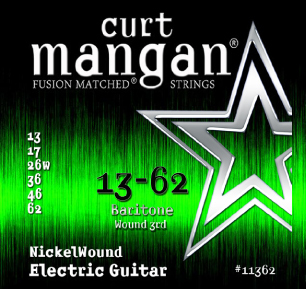 Curt Mangan nickel wound resophonic guitar strings 16-56 bluegrass series. FusionMatched®. plain steel .016- plain steel .018- nickel wound .028w- nickel wound .036- nickel wound .046- nickel wound .056. 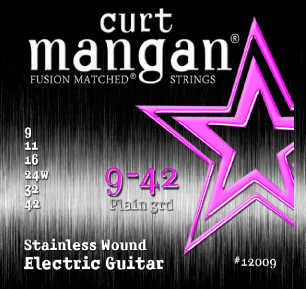 Curt Mangan 13-62 Baritone Electric Guitar Nickel Wound Set. Gauges: 13-17-26W-36-46-62. String Length: 43 inches. 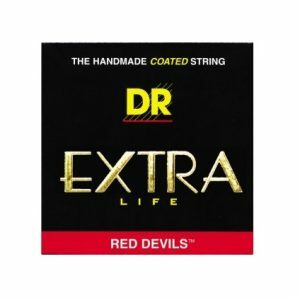 Nickel-Plated Steel wound strings were introduced in the late Sixties and have become the most popular alloy for electric guitars and bass. Nickel-plated steel tends to offer the most balanced tone. 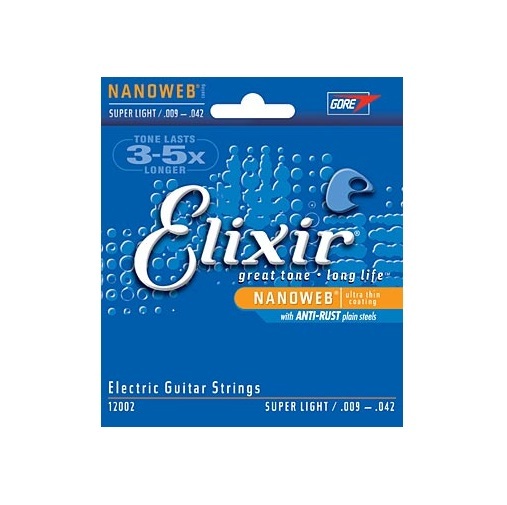 Nickel Wound strings are created by wrapping Nickel-Plated Steel alloys around a hex-shaped core wire which is made from tin-plated high-carbon steel (same as plain strings, but hex-shaped). The “core-to-wrap” ratio is the combined diameters of the core wire and the wrap wire which creates the overall diameter of the string.